Apple is continuing to expand manufacturing efforts related to the production of its own chips, according to a new report today by Nikkei, which stated that the company aims to "better compete" in the artificial intelligence field and reduce reliance on major suppliers like Intel and Qualcomm. Nikkei's sources said Apple's interest lies in building "core processors for notebooks, modem chips for iPhones, and a chip that integrates touch, fingerprint and display driver functions." Apple has reportedly "invested in research and development" for baseband modem chips -- currently sourced from Intel and Qualcomm -- which are required for cellular communication features on Apple's mobile devices. Analysts pointed towards Apple's legal fight with Qualcomm, and its poaching of Qualcomm modem chip engineer Esin Terzioglu, as examples to bolster the theory that the Cupertino company is ready to build its own modem chips. Building its own core processor chips for MacBooks would reduce Apple's dependence on Intel, with two industry sources stating that Apple would instead build its notebook chips using ARM Holding's technology, a British company that designs ARM architecture and licenses it out to other companies. Apple's interest in designing chips that integrate touch, fingerprint and display driver functions is said to be because the company "wants to control next-generation display technology and some related key components." Multiple analysts provided theories behind Apple's move to design more of its own chips for its products, which included staying on the forefront of artificial intelligence, lowering production costs, better protecting proprietary technology, and more. "We believe that more system houses will design their own chips. 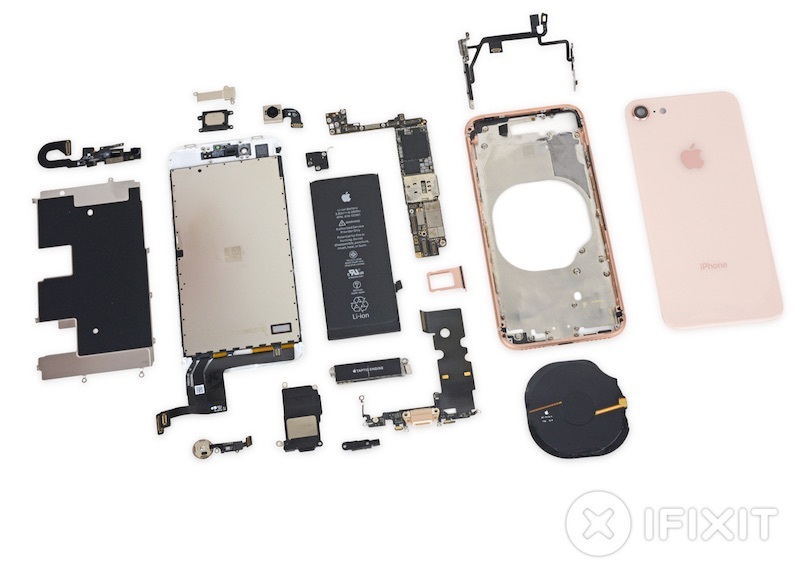 The purposes are to develop and protect their proprietary technology information, to make more efficient chips for their unique need, to lower [costs] and to do inventory control better and keep all logistic operation confidentially," Samuel Wang, a U.S.-based analyst at research company Gartner, said..
Apple has long designed and built the core processing chips found in iPhones and iPads, but this year reports began to emerge of the company's hope to expand the amount of internal iOS device components that it creates on its own. In April, Apple informed Imagination Technology that it would stop using its graphics technology over the next two years, aiming to make its own graphics processing chips and lessen its reliance on the supplier. Less official was a prediction by analyst Karsten Iltgen that Apple would drop Dialog Semiconductor from its supply chain and move to its own in-house power management chips for iPhones by 2019. This week, Apple was part of a consortium that purchased Toshiba's much-sought-after NAND memory chip unit for $17.7 billion, another move that will eventually allow Apple to be less reliant on other suppliers for device components. Still, many of Apple's in-house chip production lines are many years off, with analyst Mark Li stating that it's "unlikely" Apple will be able to debut its own components -- specifically referring to the modem chips -- within the next two years. Macs can't move to ARM unless they invent x86 to ARM instruction set translation without performance penalty - Mac doesn't make sense without ability to run x86 virtual machines (Linux, Windows). I have said this for years and every one goes no no intel this intel that processor change this processor that. I go look apple is going to start the process of having the entire OS written in a higher level language or a modern level C so that they can combine it and all the built in libraries over to ARM. Then it is a simple re-compile for most not all applications to join the ARM OS X train. This is where apple is going. There is no reason to update the Dock or Finder ETC with a total re-write to a new language otherwise. They are moving the ball slowly and in clear view to ARM. The first mechanical cooled ARM chip is now in the ATV. They are getting ready to see how far they can push the Atv it is a low risk product with low sales currently. They can latter on push it hard and if they fail they have good understanding of thermal loads in the wild. They are going to make a MacBook A series chip. This is going to happen when is the only question I have left. They have several sub-systems left to migrate on the UI side of the house. They also need to start to get developers into the idea that the apps need to be universal again. This push will come with a new heavy push for the App Store. This why the universal binaries are handled on the back end away from the user. The arm user will not know they are using arm unless they look at the specs. This is where they want to go. So you can write it one time and have it run multi thread monster on the Mac Pro or multi thread mini on the ARM in the MacBook scales perfectly and is universal. This is where apple has pointed the ship. Intel has nothing on the road map at the sub 15 watt chip size that punches. I know now I will get the people who go but arm is not intel the benchmarks don't compare etc etc. This is going to happen. So strap in for the next decade cause it will be ARM and it will be universal binaries and it will all feel like a throw back to the early 2k. Lots of companies are gonna be in for a world of financial hurt when Apple pulls their contracts and no longer needs them. Apple keeps claiming the A series is as powerful as Intel's chips yet the switch hasn't come. To bad notebooks can't run on marketing hype. No doubt they have prototypes in Cupertino leveraging ARM/Intel hybrids and internal versions of macOS rigged on ARM probably running iPad-like apps, but I'm curious if they'd make the investment on a platform that is responsible for less than 20% of their revenue, a platform some would call "legacy computing"... certainly the Mac is an important business segment, but with the "maintain course mode" it has been on for the past 5 or so years, would they bother re-engineering it significantly as they did when they moved from PPC to Intel in '06. Macs are not "legacy computing". Try using an iPad to do any sort of real work for any length of time; you will want to throw it at a wall. You still need a Mac (or even a Windows or Linux PC, let's be fair) to do real work. You still need a real computer to do software development. Like it or not, iPads and iPhones are best at consuming content, communication, etc... They are not good productivity tools. Sure, there are things you can do on an iPad, but once the scope of work becomes more involved, you're going to want a real computer. If I had to depend solely on an iPad to do my job I would go crazy in short order. not surprising at all. Microsoft demoed Windows running on ARM snapdragon 835. If apple wants to create a Mac Laptop with bootcamp support for Windows ARM, they could. Can't wait for the "Transition Keynote" "Motorola to PPC, PPC to intel and now Intel to Arm"
One direction Apple could go with ARM-based Macs would be to make an ARM MacBook (not pro) and pull something similar to Windows on the Surface Laptop ('https://www.microsoft.com/en-us/surface/devices/surface-laptop/overview'), where it is limited to the App Store and is not intended for markets where users need x86 apps like Windows/Linux for VMs. Ideally it would be cheaper and make up for cost via the App Store. The App Store requirement would mitigate any user confusion since only ARM App Store apps can be installed. For a little while now, apps have been submitted in a Bitcode type format, able to then be compiled down to x86 or ARM (or something else even). This is all handled on the back-end, but I think it's a sign of something in the works. They already have a large inventory of apps that can easily be deployed to ARM with little to no modification, assuming they have a version of macOS and libraries for ARM (and let's be honest, they do). I don't think they'd want to just replace Intel outright at first, as we see in this thread, many professionals still need x86, but by hitting the low-end, non-pro market, they can test the waters for ARM on Mac and build up a good test bed. We may never see full x86 emulation, Intel has already warned Microsoft that they are violating some patents by trying this, so Apple will likely either find another way around it, or this transition may wake Intel up enough to realize they could just license the emulation instead of get replaced. No! Absolutely no ARM in a Macbook. I'm switching to a Hackintoshed Razer Blade if that happens, ARM just can't run any kind of power-heavy desktop application, and Solidworks requires a Windows environment, which I run in a VM so I only have to deal with Windows part of the time. I'm fine if its a Coprocessor, but the main has to be either x86 or, in the future, Quantum. If Apple switches to ARM, they are going to lose a large portion of their user base for the Macbook: professionals.